Tree roots need access to oxygen and water in order for the tree to survive. Building and development sites can be particularly prone to compacted soil, which prevents filtration of air and water to the tree roots and the tree will rapidly suffer. 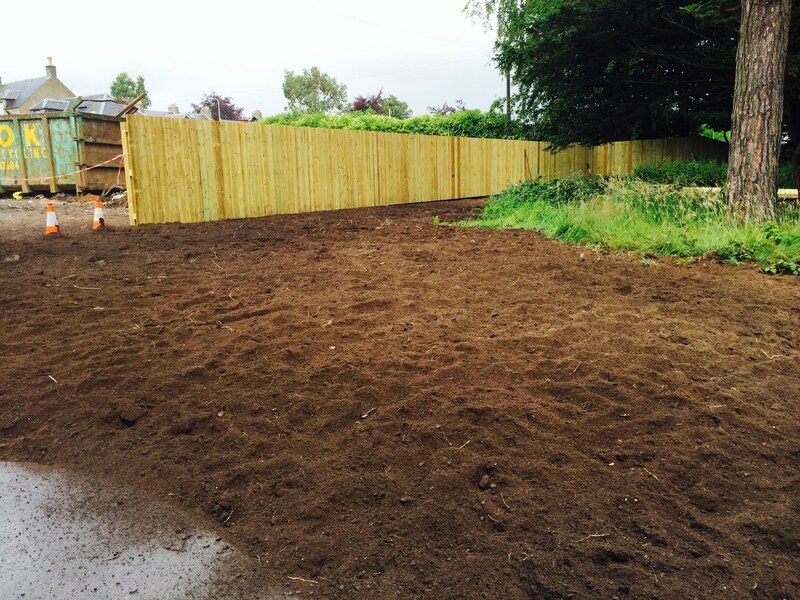 The cause of soil compaction is often the movement of vehicles and machinery, storage of materials and even heavy pedestrian access during development works. Where compaction occurs, the area should be de-compacted as soon as possible to prevent quick and often irremediable tree death. Arbor Vitae Arboriculture carry out soil de-compaction services in and around Edinburgh using a purpose-built Air-Spade™. Air Spade is a compressed-air powered lance that creates more suitable soil conditions for the tree roots to metabolise without causing permanent damage to the tree. The photos featured in this Case Study show our arborist de-compacting the soil around a mature Pine tree, after the area has been compacted by machinery, stored materials and pedestrians. 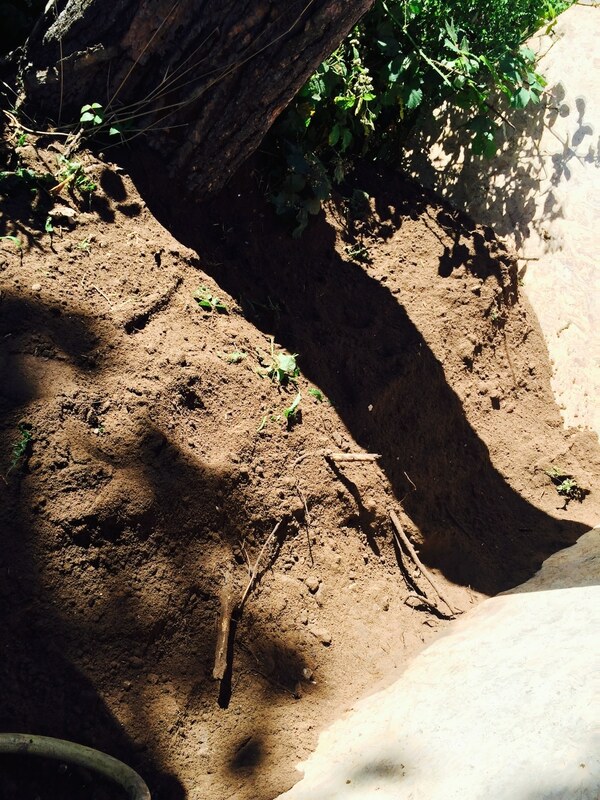 The soil was excavated using an Air-Spade – a method that prevents further root damage – allowing us to carefully investigate any damage caused to tree roots by development site traffic. The final photo shows the rooting area of the Pine tree after soil decompaction and re-introduction of necessary bacteria to aid tree growth, allowing the tree and its roots to thrive in its busy environment. 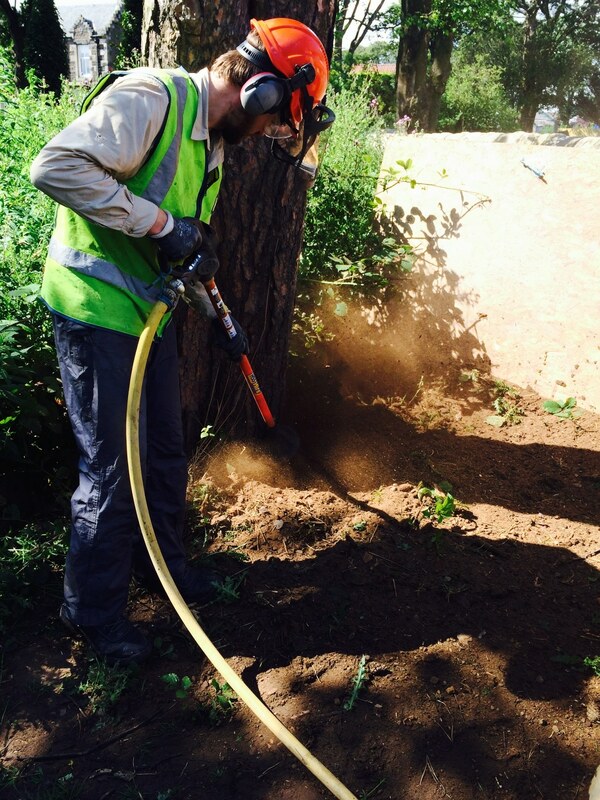 Prolong the life of trees with Air Spade™.